The blood can be said to be the bases of life as it performs many functions crucial to helping your body carry out the activities essential for life. 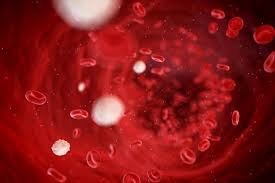 Red blood cells deliver oxygen to the tissues, white blood cells help you fight against infections,and blood platelets help your blood to cloth. Imagine what a serious threat to your health a blood disease could bring. Rare blood disease could attack any component of your blood and threaten your existence. There is good news though, even the rarest blood diseases are treatable. Fewer than 1,000 people per year are diagnosed with aplastic anemia in the United States. Different from common iron-deficiency anemia, aplatic anemia arises a problem with the bone marrow that causes almost blood cell production to cease. In aplastic anemia, the stem cell that normally form into red or white blood cells become damages and never mature. The most common treatment for aplastic anemia may include medications, blood transfusions and bone marrow or stem cell transplant. In myelofibrosis(MF), the bone marrow stops making red and white blood cells instead, it produces scar tissues in places where cell factories should be. Fewer red cells mean less oxygen delivery to the body. Fewer white cells make the body less able to fight infections. MF often results from a related disease like polycythemia vera (PV). Doctors usually treat myelofibrosis with medications or blood transfusions. This uncommon condition usually affects people over the age of 60. In polycythemia vera, the bone marrow produce large amounts of defective red blood cells. These cells don't function correctly and serve to thicken the blood. Thick blood cannot be pumped easy through tiny arteries to deliver oxygen to vital tissues. Fortunately, PV generally progresses slowly. Many people who recieve prompt treatments and medical monitoring live long and healthy lives. Despite its name, hairy cell leukemia has nothing to do with your scalp, but has everything to do with your blood. Hairy cell leukemia is a type of blood cancer that causes the body to produce too many immune system cells called lymphocytes. These white blood cells normally fight infections but in hairy cell leukemia, they become misshapen and simply clog up the bloodstream. Hairy cell leukemia can be treated, and many people live for years with the remission. Your blood consists of many components beyond blood cells. In fact, blood contains more that 20 proteins related to clotting alone. One of these proteins called Factor XIII (Factor 13) helps blood clot stick together. If a person lacks Factor III protein, the person could experience problems clotting or even spontaneous bleeding in the brain. Factor 13 deficiency is extremely rare, occuring perhaps just one birth per 5 million. Fortunately, two drugs are available to treat it.